Taylor County Middle School PTSO will host the Harlem Wizards and Wildcardz in a basketball match up on Wednesday, Oct. 30, at 6:30 p.m. at Taylor County High School gymnasium. Advance tickets are $8 for students and seniors. General admission is $10. At the door, tickets will be $10 for students and seniors and $12 for general admission. Tickets are on sale at the Taylor County Board of Education office, Wise Dentistry for Kids, United Citizens Bank, L and P Bait and Tackle and from any TCMS PTSO member. 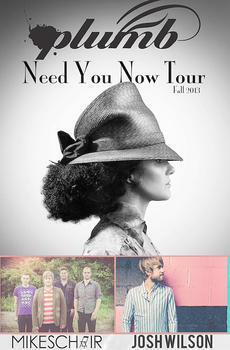 Dove Award-winning Contemporary Christian singer-songwriter Plumb will bring her "Need You Now Tour" to Campbellsville on Thursday, Oct. 17, at 7 p.m.
She will be accompanied by eight-time Dove nominee Mike's Chair and Josh Wilson, recipient of the 2012 Christian Songwriter/Artist of the Year award from The American Society of Composers, Authors and Publishers. The concert, sponsored by Elk Horn Baptist Church, will be at Living Grace Church. Campbellsville University theater will present "How to Succeed in Business Without Really Trying," a musical comedy, on Oct. 11-13 at Russ Mobley Theater in the Alumni Building. Show times are Oct. 11 and 12 at 7 p.m. and Oct. 13 at 2:30 p.m. 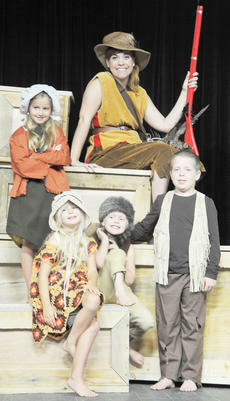 The play was also presented Oct. 3-6. 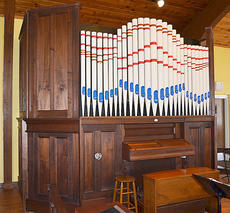 Dr. Wesley Roberts, professor of music, will be presenting the first program for this year's Noon Organ Recital Series at Campbellsville University with the dedication of the newly acquired 1875 Pomplitz organ at 12:20 p.m. Tuesday, Sept. 17, at Our Lady of Perpetual Help Church in Campbellsville. The organ recital is free and open to the public. It ends at 12:50 p.m. to allow those attending to return to their schedules before 1 p.m.
Taylor County Retired Teacher's Association officers for this year are Elise Mohan, president; Anita Smith, secretary; Joyce Dunlap, vice president and Carole Whitley, treasurer. This year's first meeting will be Tuesday, Sept. 17, at Creek Side Restaurant at 10:30 a.m.
Any Kentucky retired teacher living in Taylor County is welcome to attend and can pay the $10 annual dues at the meeting. 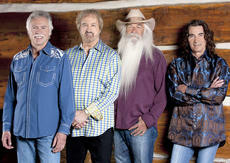 The Oak Ridge Boys will perform at Campbellsville University Monday, Oct. 28, at 8 p.m. in Ransdell Chapel as part of their 40th Anniversary Tour. Buzz Cason, a member of the CU Board of Trustees and American rock singer, songwriter, producer and author, will perform a pre-concert before The Oak Ridge Boys take the stage. Proceeds from the concert will go to CU's Scholarship Fund to benefit students' educations at CU. Special VIP tickets are available at $125 each and will include a meet-and-greet session before the concert. Campbellsville University and Town Hall productions presented "Annie Get Your Gun" recently at CU's Russ Mobley Theater, with several Campbellsville residents participating. Campbellsville University's Theater Department and Town Hall Productions have announced the cast of "Annie Get Your Gun" for five showings on July 4-7 at CU's Russ Mobley Theater in the Alumni Building. The show will be at 6 p.m. Thursday, July 4, at 7 p.m. Friday, July 5, at 2:30 and 7 p.m. Saturday, July 6, and 2:30 p.m. Sunday, July 7. KJ Richerson of Campbellsville, who is undergoing treatments for a brain tumor, will celebrate his 12th birthday Monday, June 24. Friends and family members have set a goal to see that Richerson receives 1,000 birthday cards. Those who wish to send Richerson a card can write to him at KJ Richerson, Ronald McDonald House, 1907 Holcombe Blvd., Houston, TX 77030. 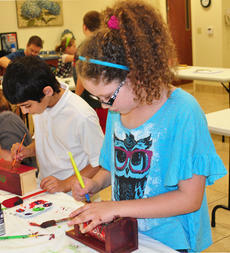 Taylor County 4-H hosted a free woodworking shop on May 23. Using wood and soda cans, students built and painted wren birdhouses with the option of entering them in a Taylor County Fair competition. To learn how to get involved in 4-H, contact Amanda Sublett, county extension agent for 4-H youth development, at 465-4511 or visit the 4-H Facebook page at www.facebook.com/TaylorCounty4h.